Barton Industries 2010-2014 Camaro V6/V8 Manual Short Throw Shifter. With more than 30 years experience in the CNC machining industry, Barton Industries shifters and shifter accessories are also proudly made in the USA. Plus, their focus on drivetrain products for American musclecars means these products are designed to perform. Buy a Barton Industries shifter today and enjoy quicker, better shifts!Features a complete replacement machined 6061 T6 billet aluminum and 304 stainless steel flat stick and OEM type stick for use with the factory shift knob. Also included is your choice of shift knob. 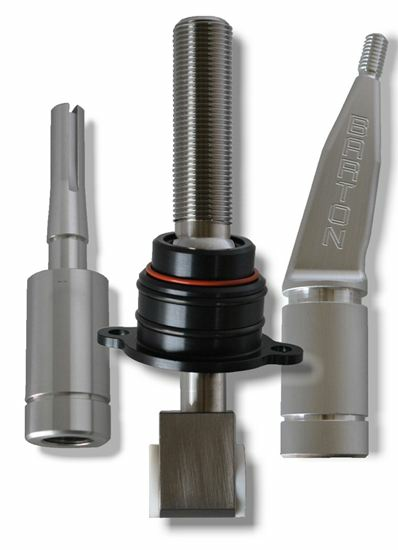 Barton's short throw shifter is designed to provide 46% throw reduction. 2010 2011 2012 2013 2014 V6 V8 SS Chevrolet Camaro Manual. No one else can stack up to the bold clean styling of our aftermarket Billet dress ups, Street Strip & Racing Suspension & Performance Parts for your late model American Muscle Car!